If you're obese and find going to the gym too intimidating, there's no need to panic, because you can workout right at home. You don't have to spent money on a gym membership or personal trainer. However, if you have health concerns related to your obesity or otherwise, consult your doctor about how to approach exercising at home safely. Set weekly goals that have you varying your home workout routine so that you stay interested and motivated. The path to fitness begins with a single step. This is the message of the American Heart Association, which recommends that adults begin a cardiovascular exercise program with walking. Walking around your house, yard or neighborhood will raise your heart rate, improve your heart health, increase your rate of breathing and burn fat. Walking on a treadmill will provide the same benefits. Begin by walking for five or 10 minutes and gradually build up to a 30-minute walk. Wear a pedometer so you can track the amount of steps you take per day, and set goals to increase the number of steps by 500 to 1,000 steps per week. 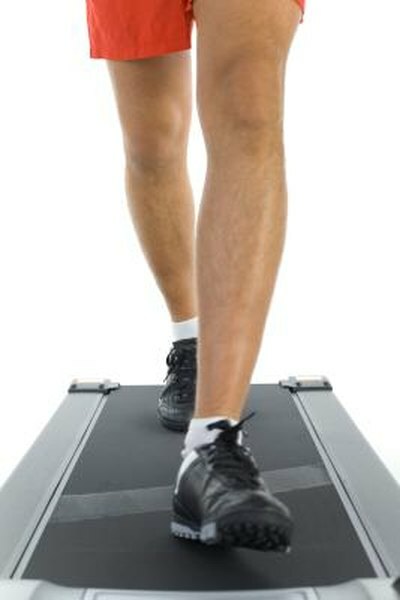 As you gain fitness, try a treadmill setting or walking route that involves an incline. Pumping iron is not the only way to build strength. Obese people benefit from using resistance bands, hand weights or the resistance of their own bodies to do strength training. Target major muscle groups by doing wall pushups. Stand slightly more than arm's length from a wall. Lean forward and place your palms on the wall. Inhale deeply as you move your upper body toward the wall, keeping your feet flat on the floor. Hold for a beat before exhaling and slowly pushing your body away from the wall. Another strengthening move that also raises your heart rate is the squat. For this exercise, stand in front of a chair. Slowly lower yourself as if you were going to sit down but stop before touching the chair. Slowly rise. Improve your flexibility and build strength and coordination with stretching exercises. Dr. Mehmet Oz, medical author and director of the Complementary Medicine Program at NewYork-Presbyterian Hospital, recommends that beginners try gentle yoga stretching as part of a daily home workout routine. Modify his series of sun salutations by using blocks, cushions or bands to suit your level of flexibility. Breathe deeply to get oxygen flowing through your blood and to your muscles. Getting more active can begin with doing more around the house. Put on some music and move as you clean a room for 10 minutes. Rake the lawn or dig in the garden. Walk with your family or a pet. Stand up and stretch while watching television. During commercials, do a walking lap through the house or climb the stairs. March in place while talking on your phone. Stretch to touch the tops of door frames as you walk through the house. American Heart Association: Get Moving? Where Do I Start? Can You Still Keep Thin & Fit With Crutches? What Exercises Can You Do With a Broken Toe?